Doogee Y7 VS Doogee Y7 Plus: Any Difference? Home Comparison Doogee Y7 VS Doogee Y7 Plus: Any Difference? The Doogee Y7 and the Doogee Y7 Plus are both affordable mid-range smartphone with an impressive cameras set-up and a beautiful body design. Both phones pack the latest modern design and they also parade a fingerprint scanner for security. Although they feature similar body design, however, they have their differences on the inside and they also sell in the different price bracket. We will be looking at the full comparison between the Doogee Y7 and the Doogee Y7 Plus. On the body, The Doogee Y7 is built with the combination of metal and plastic. It has body dimensions of 76.09 mm x 160.4 mm x 9.4 mm. The Doogee Y7 Plus, on the other hand, is built with the combination of metal and glass. It features a similar body and it’s available in multiple colors just like its rival. The Doogee Y7 and the Doogee Y7 Plus are both shipped in Black, Blue, and Purple colors and they also have a rear-mounted fingerprint scanner for security. 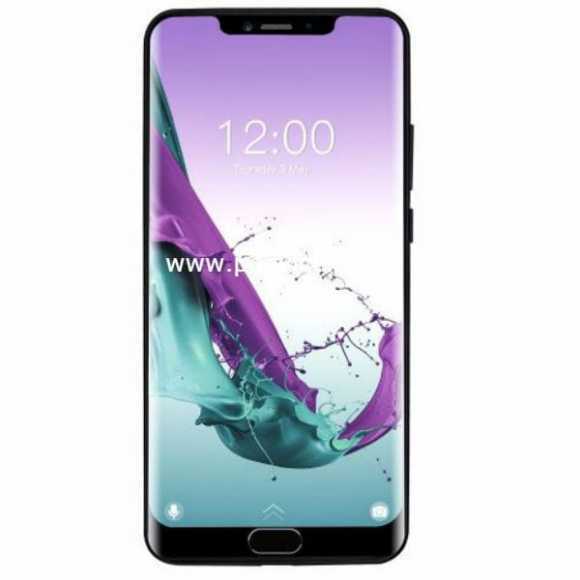 On the front, both phones have a notch and small bezel below the screen. The Doogee Y7 has a screen size of 5.84 inches FHD+ with a resolution of 1080 x 2340 Pixels and 441 PPI density, while the Doogee Y7 Plus has a screen size of 6.18 inches FHD+ with a resolution of 1080 x 2246 Pixels and 403 PPI density. Both phones are equipped with IPS capacitive touchscreen and they also have display protection as well. The Doogee Y7 has a dual rear cameras of 16 Megapixels + 13 Megapixel with dual LED flash and an impressive front camera of 16 Megapixels with f/2.0 Aperture, Face unlock, and Wide-angle lens – 80°, while the Doogee Y7 Plus has a dual rear cameras of 16 Megapixels + 13 Megapixel with dual LED flash and a front facing camera of 8 Megapixels with f/2.0 Aperture, Face unlock, and Wide-angle lens – 80°. Both phones will make a great device while on the front camera, the Doogee Y7 has an edge and will take better selfies. On the hardware, the Doogee Y7 has a Spreadtrum SC9863A chipset with an octa-core processor that clocked at a speed of 1.6 GHz, while the Doogee Y7 Plus has a MediaTek Helio P25 (MT6757CD) chipset with an octa-core processor that runs at a maximum speed of 2.5GHz. The Doogee Y7 has a PowerVR GE8322 GPU for graphics with 3GB RAM and inbuilt storage of 32GB, while the Doogee Y7 Plus has ARM Mali-T880 MP2 GPU with a huge 6GB RAM and a generous inbuilt memory of 64GB. Both phones have a slot for micro SD card and they are powered by Android 8.1 Oreo operating system. Doogee Y7 Plus VS Vivo Y89: Will You Choose Battery Over Design? Doogee S90 VS Cubot King Kong 3: Will King Kong 3 Make a Batter Alternative? The Doogee Y7 has a nonremovable battery capacity of 3360 mAh with fast charging technology, while the Doogee Y7 Plus has a massive battery capacity of 5080 mAh with fast charging technology as well. On the price, the Doogee Y7 will cost around $125, while the Doogee Y7 Plus will sell at a price of $199. Just as the name suggests, the Doogee Y7 Plus is the advanced version of the later and the phone will perform better than it’s rival as well. Apart from that, it has a bigger screen, bigger RAM and massive battery capacity. So, it will make a wise buy while the former will make an alternative.